Written by UC Santa Cruz alumna Elizabeth McKenzie, it’s one of nine remarkable short stories included in the magazine by some of the finest fiction writers in the country today. 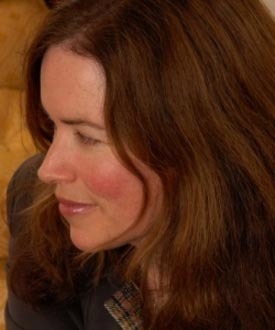 McKenzie is also the author of Stop That Girl, a collection of short stories (dubbed “anti-fairy tales” by NPR) that was published in 2006 by Random House, short-listed for The Story Prize, and was a Newsday and Library Journal Best Book of the Year. The New York Times Book Review has said of that collection: "McKenzie is an accomplished humorist and a developed stylist, and she wastes no time dazzling the reader with her clean direct language, her simple but searing use of metaphor and her unflinching eye....McKenzie is an original." 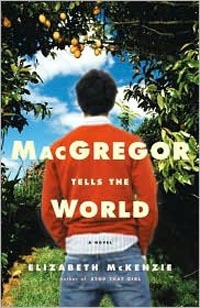 Or as the East Bay Express put it: "McKenzie is funny, and her stories are wry and tuned to pop culture and politics. They inspire fantasies about being her best friend." 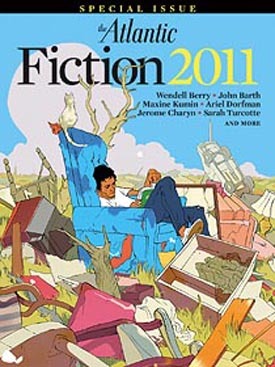 McKenzie has received a Pushcart Prize for her short fiction, and had a story chosen by Dave Eggers for his anthology Best American Nonrequired Reading. She is currently senior editor of the Chicago Quarterly Review. McKenzie explored journalism all throughout high school, but it didn’t take. “I wasn’t good at journalism because I always exaggerated,” she notes. A fan of the beat poets, she began taking poetry classes at UC Santa Cruz and eventually founded a literary magazine on campus. 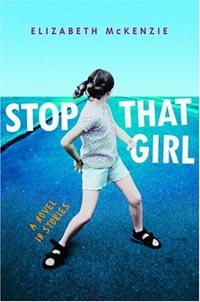 Several of the stories in Stop That Girl are based on her experiences at UCSC. “A couple of the stories are pretty autobiographical—about getting financial aid and finding my way to Santa Cruz,” McKenzie says. “S.O.S. is a story about a literary magazine I started called The Blunt Probe—we published three issues. Allen Ginsberg did a reading at UCSC, and agreed to submit something, and our drive up the coast together became the setting for the crisis in that story,” she adds. McKenzie received a B.A. in Literature from UC Santa Cruz in 1981. She recently returned to campus to teach a class called The Art of Comedy: Literature and Performance as a Kresge lecturer from 2008 to 2010. Although her debut novel MacGregor Tells the World was a Chicago Tribune “Best Book of the Year,” and a San Francisco Chronicle “Notable Book,” McKenzie says it doesn’t get any easier the second time around.